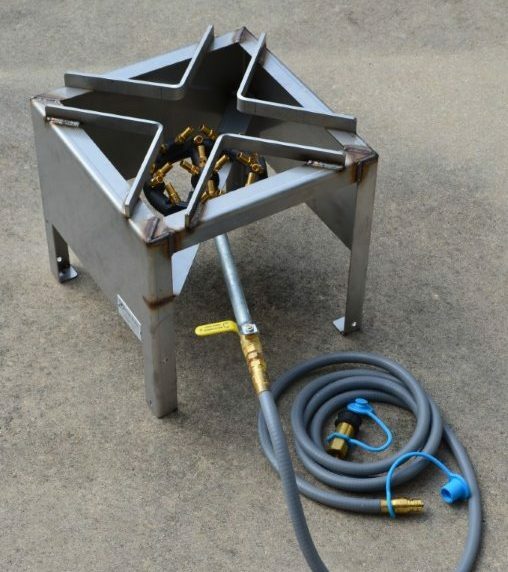 Great for boiling seafood, frying fish and brewing beer! The best thing since slice bread….. 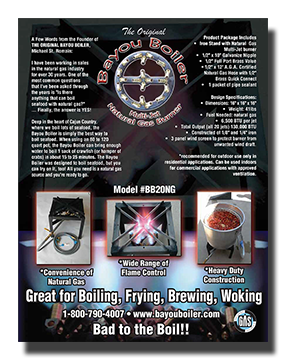 I just bought The burner 2 weeks ago. In just 15min. 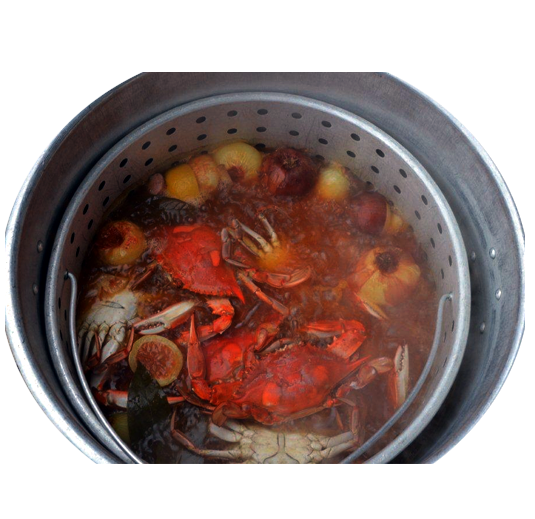 I had my 120qt pot boiling then closed the valve to 1/4 open and pot continued to boil… Dropped the crawfish in crank the burner up and with-in minutes back to a boil… The BEST PART is it very quet… I would say 3/4 less than my propane. 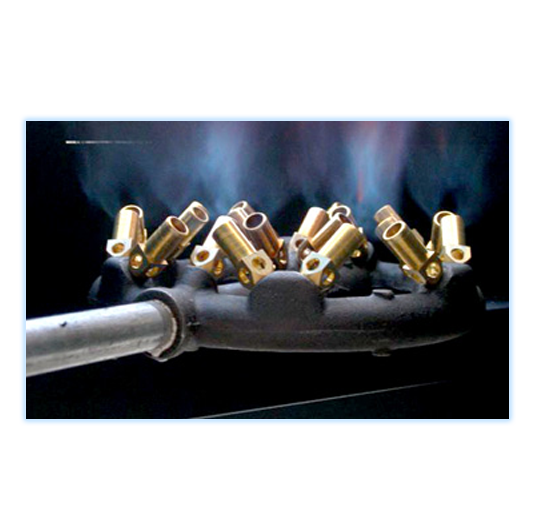 The BAYOU BOILER is the First Multi-Jet Natural Gas Burner on the Market!